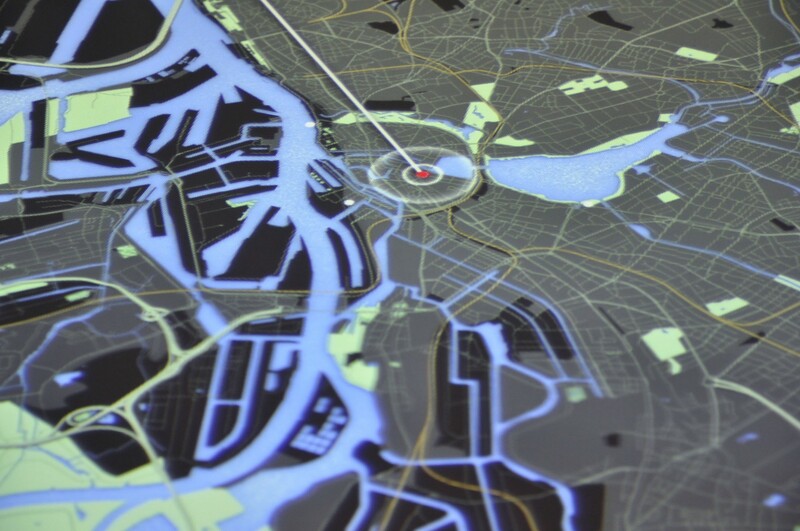 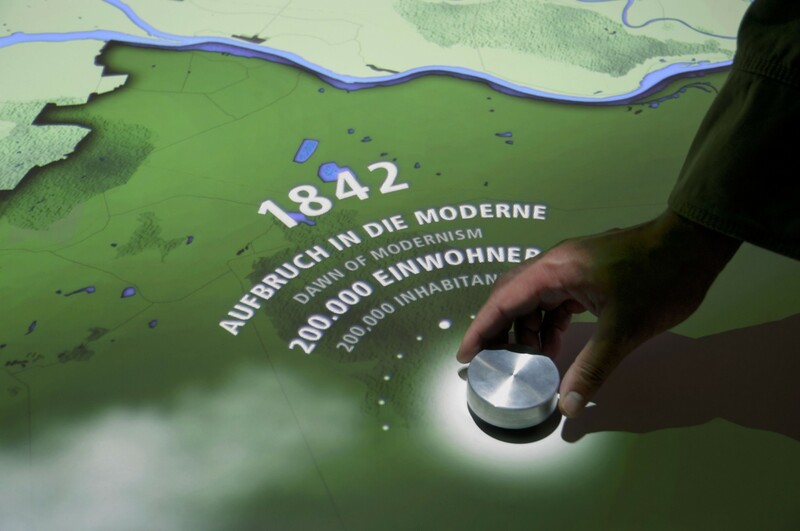 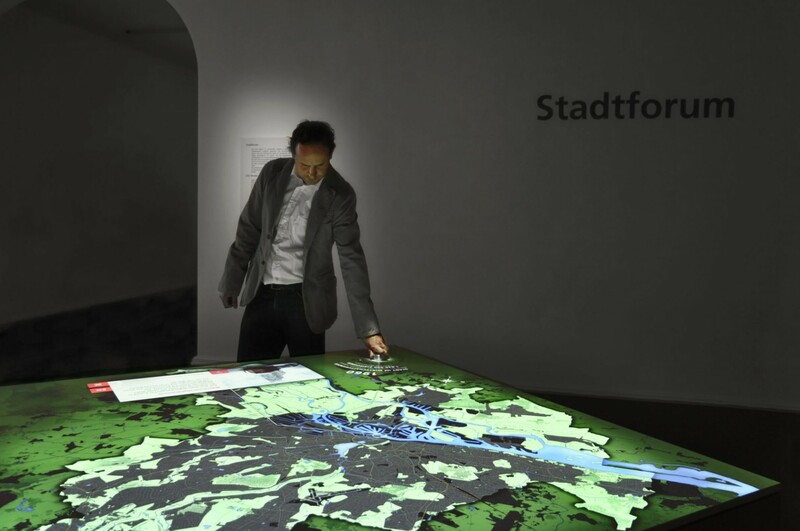 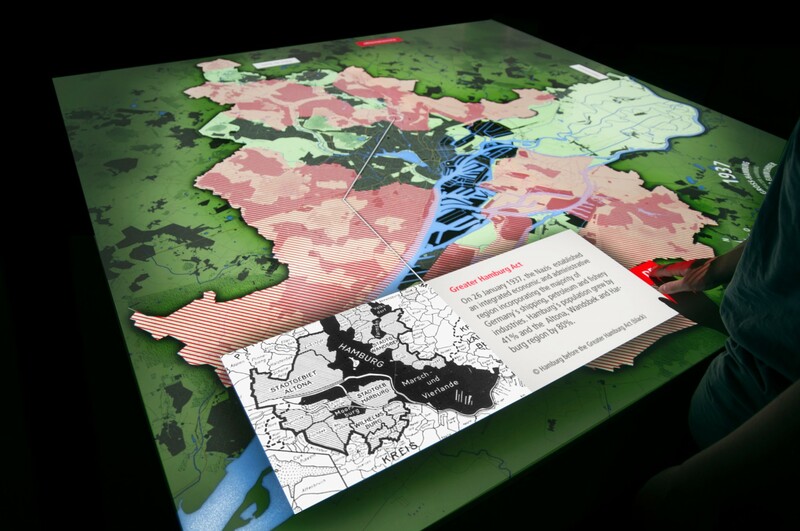 A part of the new exhbition »The harbour – a key stimulus«, the interactive table leads through 1300 years of Hamburg history. 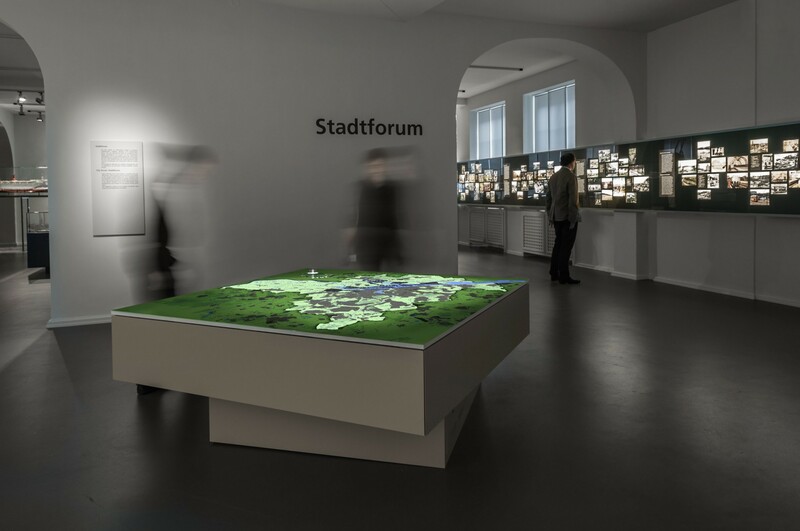 The square table with 3.5 sqm surface area enables visitors to explore the development of the city from the Middle Ages until today. 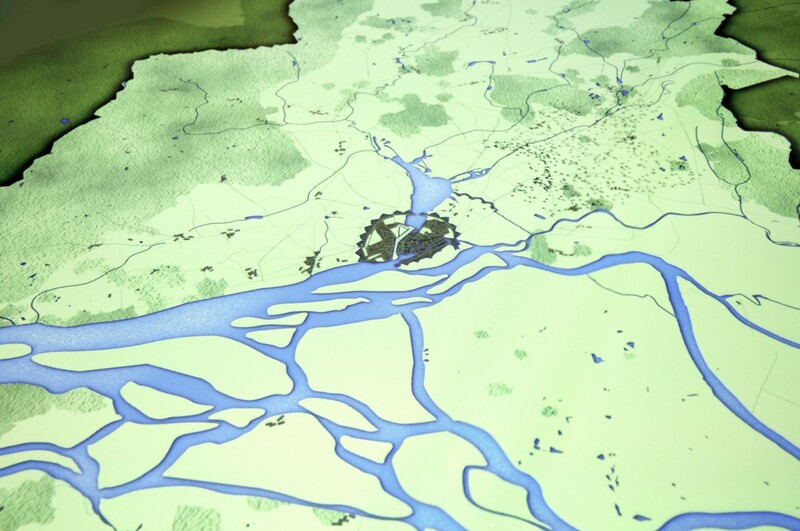 A mechanical time wheel is used to navigate through the 11 periods. 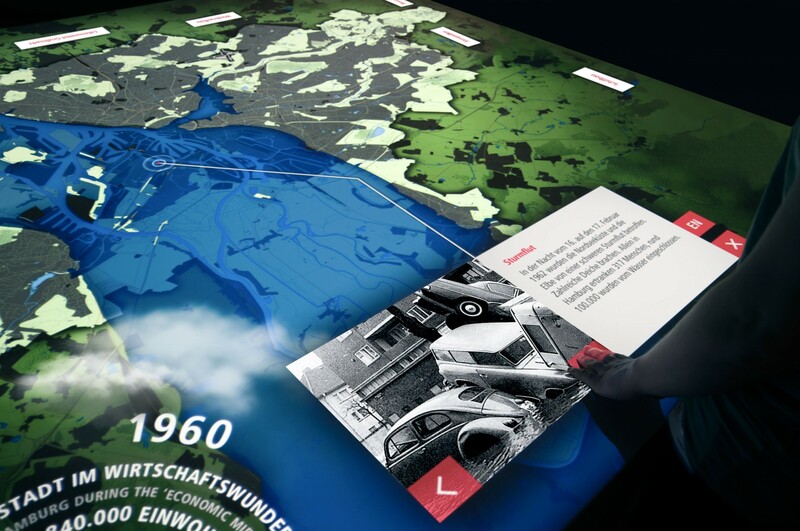 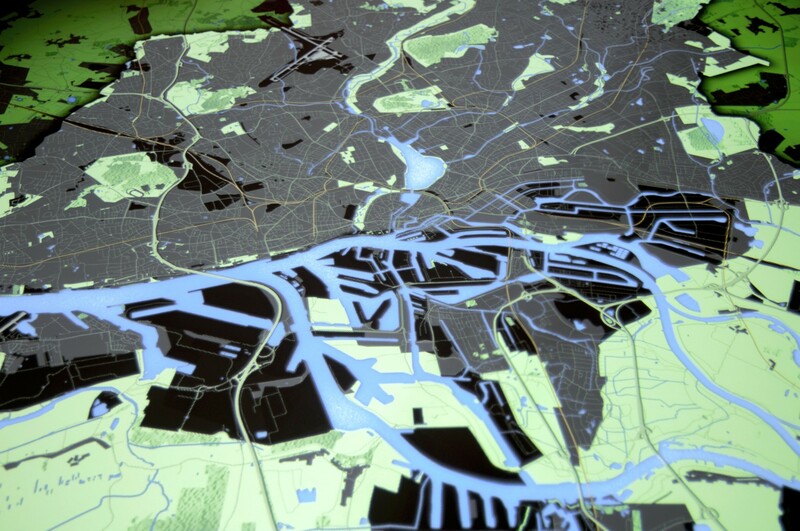 In each era, the most important changes in urban development as well as significant historical events are geographically displayed on the map, for example the North Sea flood of 1962 or the construction of the Speicherstadt. 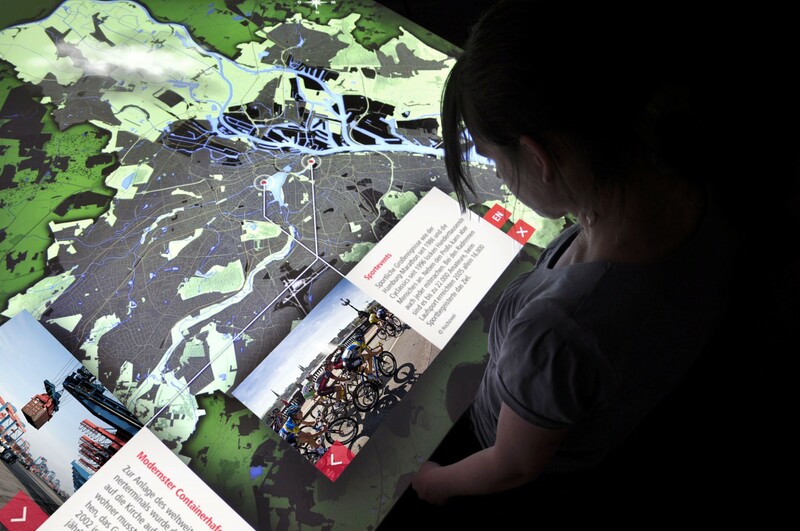 The bilingual content windows appear on different sides of the table, which enables several visitors to explore information independently. 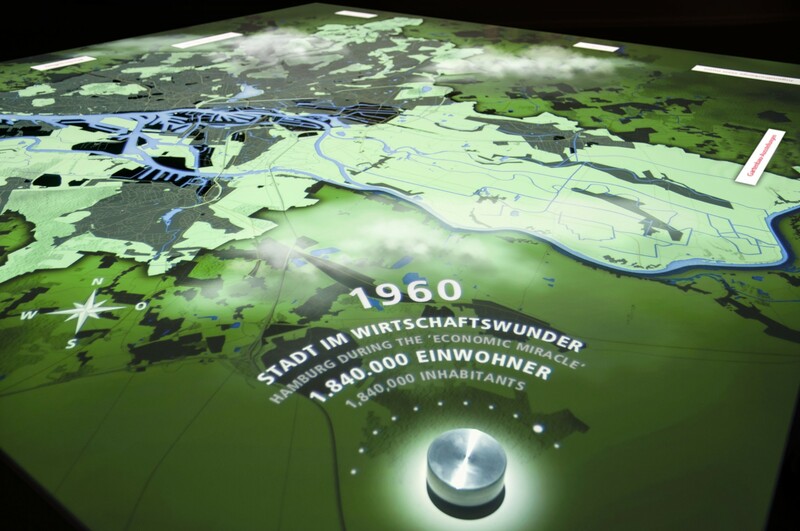 The programming was done on behalf of ART+COM (Concept, design and production).